All you need to know as a basic collector. A swop-shop provides a shopping alternative to our normal money-based system as it allows people to exchange goods and services for their recyclables. It’s uniquely South African and a meaningful way to support communities that may not have a lot of disposable income. Here at PETCO, we don’t manufacture, buy or sell any material. 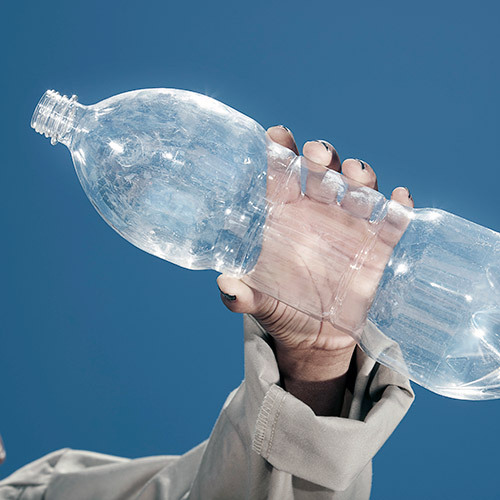 But we have a number of contracted recyclers that do buy PET bottles, who will be able to provide more pricing info. Note: Should you not yet have the capacity to bale material, you will need to sell your material to an intermediate collector or buy-back centre. For a comprehensive list of multi-recycling buy-back Centres: www.mywaste.co.za. Recycling entrepreneurs, PETCO can help with training and mentorship. PETCO sees the role of training and mentorship of PET collectors as critical. We specifically help in improving work conditions and assist entrepreneurs to grow and sustain their businesses. We also identify with the need to raise awareness in communities and strengthen relationships with government, to encourage the establishment of separation at source projects and expand existing PET collection into new areas. We encourage the establishment of separation at source projects and work with communities to expand existing PET collection opportunities into new areas. 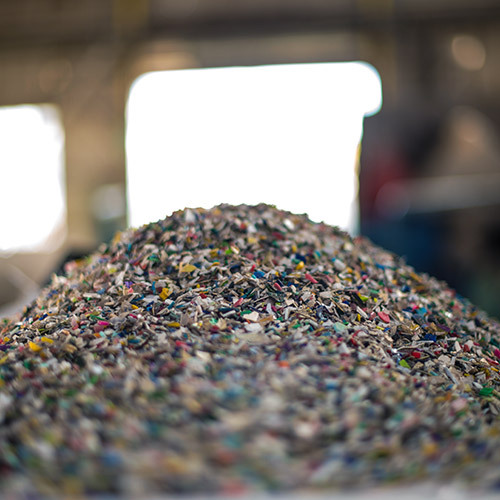 PETCO can sponsor infrastructure and equipment to grow visible recycling. PETCO supports projects with infrastructure, equipment and protective clothing, enhancing working conditions, and helping collectors improve their collection volumes, quality and transport efficiencies. All the sponsorship recipients have signed equipment contracts. They are monitored on a monthly basis to track growth. Download the Criteria for Support document. We have a range of joint venture projects that helped us promote the growth of visible PET recycling. Take a look at some of the ones where we were involved in 2015. PETCO partnered with PFSA and Buyisa-e-Bag to sponsor a PET baling machine to the Kruger National Park to ensure that post consumer PET used throughout the Park can be baled and transported to Greens Recycling in Nelspruit. The baling machine has reduced incineration in the Park by an estimated 70%. The Thinana Co-operative comprises of five women who collect recyclable waste in the village of Senwabarwana (Limpopo). 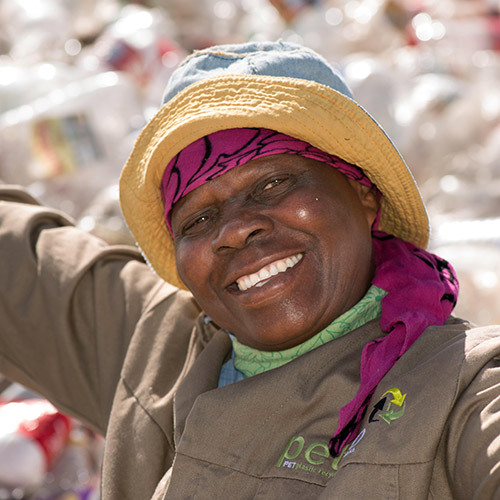 The Thinana Co-operative comprises of five women who collect recyclable waste in the village of Senwabarwana (Limpopo). They use donkey carts and trolleys to collect used plastic bottles (PET), cans and glass. In partnership with the P.E.A.C.E Foundation, PETCO played an important role in supporting the Co-operative through training and by supplying collection trolleys and a manual baling machine. For the third year in a row, the International Labour Organization and PETCO collaborated with partners in the uMhlathuze Municipality about 180 kilometers north-east of Durban, to host the Responsible Tourism Challenge. The Challenge is a sector specific business plan competition implemented with public and private sector partners and is designed to support SMME development and job creation. Under the banner of responsible tourism practices, businesses in tourism and waste sectors were invited to present their business ideas. Three waste businesses in the uMhlathuze Municipality won prizes that included both financial and non-financial support. Our aim is to embed design for recycling into the development of PET packaging. PETCO recognises the need for innovators, designers, manufacturers and packaging decision makers to understand how packaging design decisions affect container recyclability and, where feasible, to design packaging to be compatible with the broadest range of recycling operations. Our ‘Design for Recyclability’ guideline document is in line with international best practice and knowledge of our current technological capacity. We host an annual ‘Design for Recycling’ workshop, where we share current thinking on design for innovation and closed loop systems. We also engage brand owners around pack format and design and empower students with information about the fundamentals of design for recycling.